A recent study from Ernst & Young noted that over the past four years the oil and gas industry has faced the most prosecutions for bribery and corruption in the UK. In fact, corruption and bribery is the number one ethics and compliance challenge for companies in the oil and gas industry. To some extent corruption and bribery is a predictable risk, given the parts of the world where we operate, but now the matter has taken on more urgency as governments and enforcement agencies have increasingly made combating corruption and bribery a top priority. Your company probably already has policies and a Code of Conduct that address the requirements of the US Foreign Corrupt Practices Act (FCPA) and the UK Bribery Act, and you likely have training on these matters, especially for your most at-risk employees. Your company may also flag for urgent attention hotline calls that refer to possible bribery. (If your company doesn’t have at least this much in place it’s time to get busy.). Prudent companies will want to go further and take the following steps to ensure that the message is being delivered loud and clear. 1. Emphasize that bribery isn’t just about the big numbers. Most bribery happens on a small scale, involving as little as $50 to $100. This type of bribe isn’t as sensational as the major scandals, but if it’s tolerated it can establish a culture where bigger transgressions will be allowed to happen. For example, petroleum managers overseas may be faced with frustrating roadblocks that are customarily solved by small, but nevertheless illegal, bribes to local officials. 2. Clearly communicate that you do not tolerate bribery. Be sure to be explicit. Too many managers assume it is common sense, but it’s better to underline and repeat the message than assume it’s widely known. Oil and gas industry employees routinely interact with government officials in order to receive permits, licenses, imports, etc., which is why you need to be especially careful about inappropriate payments. 3. Give practical and actionable advice. Give your employees clear guidance on precisely what they should do if they are offered a bribe – or if they learn that bribes are being given by the company or third parties on their behalf. How should they handle the situation? To whom should they report the matter? A manager? The hotline? What will be the consequences? Be sure to be realistic. While it’s important to set high standards and provide tools and resources to help meet those standards, it is also important to show that the company understands the difficult situations employees can encounter. 4. Don’t forget about third parties. Let your employees know that bribery is sometimes committed by third parties— anyone from energy and environmental consultants, regional business development specialists, local engineering firms, drilling equipment suppliers, housing coordinators, etc. If they bribe on your behalf, your company can still be held accountable. 5. Everyone needs to be vigilant. 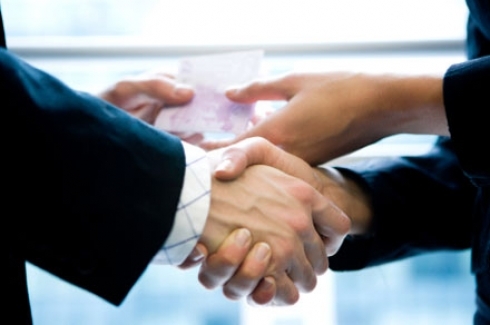 Everyone, but especially business managers, need to be on the lookout for signs of bribery. Managers need to carefully review the invoices being submitted under their authority and they should be especially careful when invoices are listed as “consulting fees” or “services rendered.” They need to know what is behind the invoices and expense reports before approval. Looking ahead, it’s likely that the oil and gas industry will face more – not less – scrutiny in these matters and the costly consequences for non-compliance will continue. Taking practical steps now to meet this challenge must be among our top ethics and compliance priorities.